Joel Embiid: There’s only two ways the Joel Embiid situation plays out. He either shakes off these foot and back injuries and goes on to have a dominant career that resembles a cross between Hakeem Olajuwon and Dirk Nowitzki fused with Jesus, or he’s chronically injured and we’re killing whichever team drafted him. I mean, has there been a bigger high upside/high risk prospect in the last 20 years? When you’re talking about a seven footer with injury concerns and you can say “well, at least we’re not worried about his knees,” that’s a positive, but back and foot issues are probably injury concerns 2 and 3 on the big guy injury list of death (which I just made up right now). We won’t see Embiid slip out of the top 10, but whichever front office takes him might not want to construct their entire rebuilding plan around him, unless they’re not too concerned with job security. 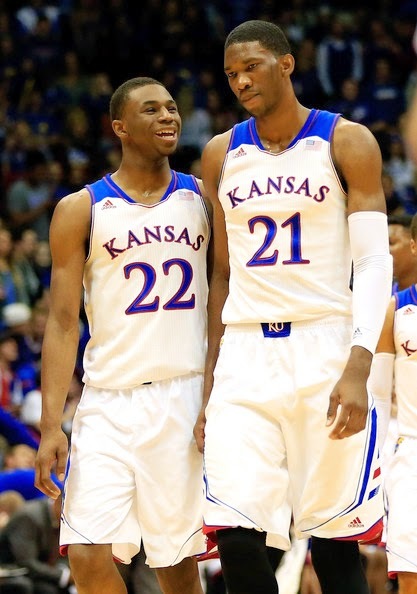 Andrew Wiggins: You might not believe this, but Wiggins averaged 17.1 points and 5.9 rebounds per game last season. That’s right, one of the most scrutinized college players I can remember put up 17 and 6 as a freshman on one of the nation’s best teams, and he got killed for it. It sounds ridiculous looking at his entire body of work, but there were games where Wiggins was passive and seemed almost afraid to force the issue if things weren’t coming easy enough for him. At the same time, you’re drafting a kid who just turned 19 in February and looked to be every bit of an 18/19 year old this season at Kansas. Unlike the Jabari Parker’s and Julius Randle’s of the world who look like grown men at 18, Wiggins still has a lot of growing up to do physically and skill-wise, and that’s a good thing. You’re not drafting the player he is today at 19, you’re drafting the player he easily could become in 5 years when he’s 24 years old, has filled out, shored up his handle, and worked on making his jumper more consistent. Yes, that’s the best-case scenario, but the worst-case scenario is a 6’8’’ athletic freak with a 7-foot wingspan that is going to be a terror on defense and in transition. He’ll likely fall somewhere between those two points, and well, that’s still pretty damn good. Isaiah Austin: Man, this was such a heart breaker. Whether you watched Austin play at Baylor the last few seasons and wondered if he could take his unique size and skillset and make it in the NBA, or you just heard about him a few days ago when he announced that he had Marfan syndrome, it hurts all the same. Because of the disease, Austin went from a second round prospect to announcing his retirement just a few days before he was sure he’d be drafted. After watching his heart wrenching interview with Holly Rowe, we can all agree that Austin’s about as courageous as they come, so here’s my thought: how cool would it be if a team with a really late 2nd round pick took Austin just to fulfill his dream of being drafted? They sign him to a one day contract, and he retires having lived that dream of being drafted by an NBA team. There wouldn’t be a dry eye in the Barclay’s Center on Thursday night. With some of the guys that come flying off the board during those last few picks, why not do something that will make this kid's day instead of taking a guy who has 5 umlaut’s in his name that will never even sniff an NBA roster? I hate to pull a George Costanza candy lineup on you here, but this was kind of a setup. Points 1, 2, 3, and 5 are 100% true, and while I don’t know for sure about point number 4, I wouldn’t be surprised if Vonleh could throw down on a 12-foot rim; he’s that much of a freak based on everything we’ve heard from the Draft process. Given his age, immense physical abilities, and versatile game, there’s little wonder why he’s shot up draft boards and projects as a Top 5 pick. Of course, the fact that he averaged just 11 points and 9 rebounds during his freshman season leaves something to be desired, but if you watched him play you saw a young kid who could protect the paint on defense, hit the boards, and score in a variety of ways on offense. At the same time, Vonleh does need to continue to polish his game, but what 18-year old big man doesn’t? Aaron Gordon: Despite the fact that opponent’s left Gordon wide open from 15 feet-plus and hoped he would shoot during his freshman season, there are plenty of teams who would love to bring the former Arizona standout aboard. 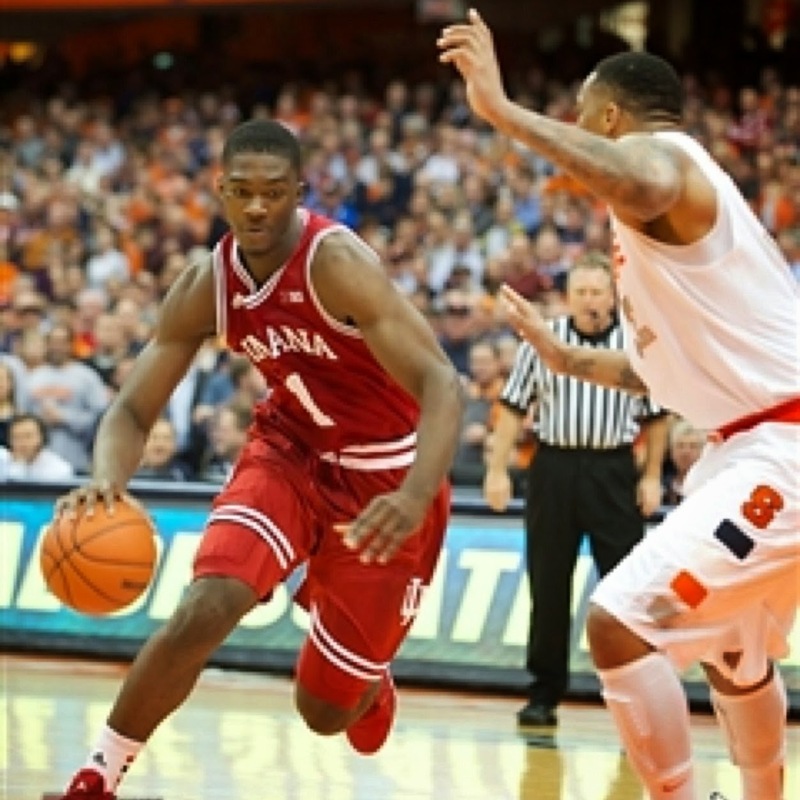 From day one, Gordon will bring defense, a ton of athleticism, rebounding, and great effort to whichever team drafts him. Sure, the shooting is a concern, especially when you consider that he shot less than seven percentage points worse from three than he did from the free throw line (35.6% to 42.2%), but once you realize that Gordon doesn’t turn 19 until the middle of September, it’s hardly a stretch to think that his shooting could improve over the next few years. The more I think about it, the more Gordon reminds me of Kawhi Leonard when he was coming out of San Diego State. They’re different players in a lot of ways, but the only real question about Leonard coming out of SDSU was whether or not he could improve his shot, and that’s essentially what people are saying about Gordon. I’ll admit that Gordon has a lot more work to do than Leonard did, but Leonard also turned 20 a few days after he was drafted, so Gordon’s got some time to catch up to where Kawhi was when the Spurs selected him. Of course, Leonard’s also been afforded the luxury of playing alongside guys like Tim Duncan, Tony Parker, and Manu Ginobili, while playing for a Hall of Fame coach in Gregg Popovich. There’s no way that Gordon finds himself in such an advantageous situation in which to hone his skills, but he’s one of those “if he develops a consistent jumper” guys who could become a transcendent player with some hard work. Julius Randle: I’m including Randle in my random thoughts to essentially say that I’m not sold on him just yet. Like everyone else, I watched as the 6’9’’ 250-pounder bulled his way through the paint in college to the tune of 15.5 and 10.5 during his freshman season in Lexington, but I sometimes found myself thinking, “that move doesn’t work in the NBA”. Don’t get me wrong, he’s got the size, footwork, and soft touch that should make him a solid player at the next level, I’m just not sure how much of his success in college was because he was bigger and stronger than basically everyone he played against. It could be as simple as developing some counter moves in the post when he’s met by a bigger, more physical defender, but this coming season will be the first time in Randle’s life that he's really needed to have a contingency plan in case he can’t just muscle his way through the defense. 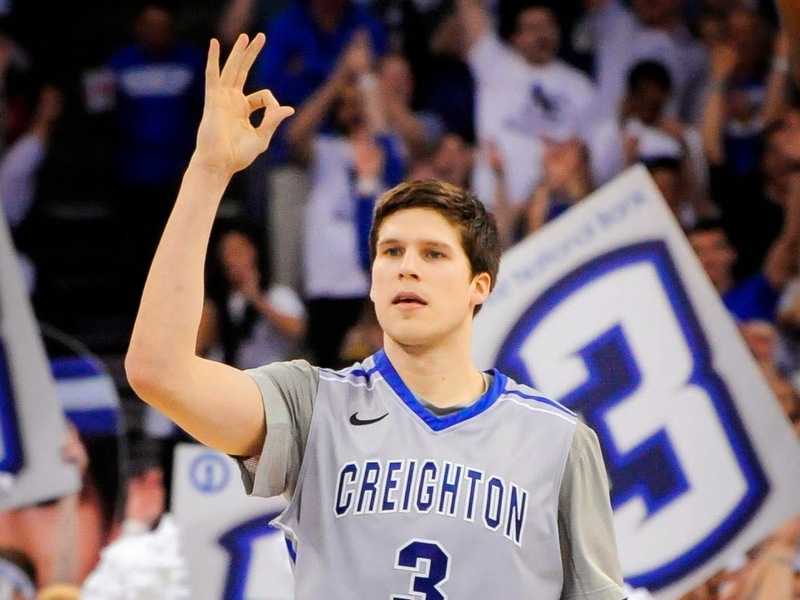 Doug McDermott: McDermott had an absolutely ridiculous senior season at Creighton, and it appears that NBA scouts took notice. He’s currently projected as a lottery pick and he’s even cracked the top 10 in a good amount of mocks I’ve seen. Anyone who wants to say something disparaging about McDermott need only point to his average athleticism and the trouble he will no doubt have trying to guard his position at the next level, and well, those are fair criticisms. However, if you’re drafting Dougie McBuckets, you’re doing so because he’s the best shooter in the draft and you value a player who can spot up from almost anywhere on the court and drain shots with ease. Looking at McDermott and complaining about his athleticism and defense is like buying a Porsche and being pissed off you can’t use it to take the kids to soccer practice. In other words, if you’re drafting McDermott looking for a freak athlete who can defend, you’re setting everyone up for disappointment. With that being said, the one thing I do worry about with McDermott is him going to a team that will utilize his skills shooting the ball by running him off some screens and hopefully putting him on the floor with guards who can draw and dish and/or a big who can command a double team. Like most young players, McDermott’s teammates could make or break him in the NBA, and after watching Creighton’s offense look like one singular living, breathing organism last season the way they moved the ball, found the open man, and everyone on the floor was always in constant motion, I’ll be very interested to see how he fares when he has guys on his team playing in iso sets and not looking to set others up as much. Shabazz Napier: I’ll admit right off the bat that I’m probably the president of the Shabazz Napier fan club, and even before he led UConn on that amazing run through the tournament and the Heat were apparently using him to court LeBron, I thought he would be a very solid pro one day. And with the way he’s been creeping up draft boards lately, I’m not alone. The one question I have is about how well his 6’1’’ 175 pound frame will stand up to the rigors of an NBA season going against guys much bigger than he is, but if there’s one thing we know it’s that Napier has a tremendous heart and is a great competitor (that much was clear from him leading his team in rebounding this past season). I could go on all day about his ability to score, defend, and make plays, but instead I’ll leave you with this about Napier; when Kemba Walker (who has turned into a very solid NBA starter) led UConn on a similar run through the NCAA Tournament a few years ago, he did so with the help of three guys who would go on to get drafted by NBA teams (Alex Oriakhi, Jeremy Lamb, and Napier, not to mention Roscoe Smith). Meanwhile, Napier shared the court with some quality players to be sure, but of DeAndre Daniels, Ryan Boatright, and Amida Brimah, maybe one of those guys gets drafted, and probably none of them are first round picks, much less lottery picks. Maybe it’s not a great comparison, but the point is that Napier was fantastic for the Huskies last season, and whichever team lands him on Thursday night will be very happy.